Stick with me here - the following train of logic best sums up the underlying reasons why I like to build some of the most obscure astromech droids from Star Wars. Robin, by himself, not so cool. Batman and Robin is many times cooler than just Batman alone. Two Batmans isn't cool. You can't have two Batmans. There it is: a random analogy from a different universe that explains exactly why I've built two red droids and will probably build more non-blue astromechs in the future. 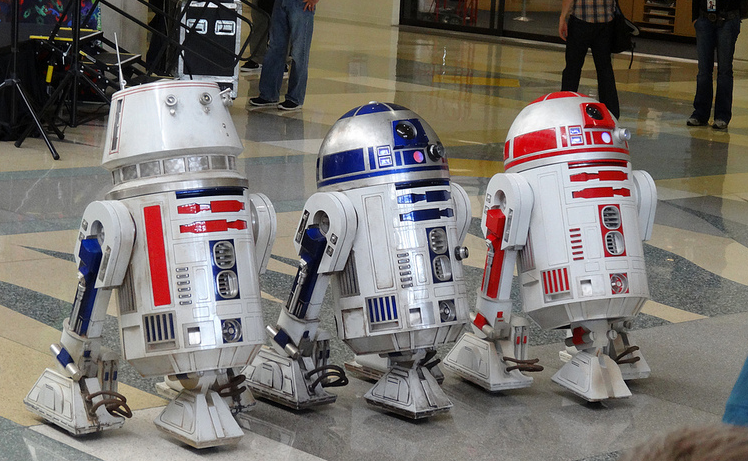 You see, everyone wants to build R2-D2. He's iconic, he's the fan favorite, he's (mostly) recognizable by the general public. And for those reasons, that's what most builders want. And for those reasons, that's exactly why I don't want blue. Every town in America already has a local guy doing blue. Bringing one more blue droid just ruins it. Bringing more non-blue droids makes any event more real. You can't have two Darth Vaders show up, or two Boba Fetts, or two Princess Leia's. But one of each puts you right in a galaxy far, far away.